The NIU School of Music will host a concert of new music for piano featuring NIU alum Mabel Kwan. Her performance will take place at 6:30 p.m. Friday, Nov. 11, in the Music Building Recital Hall. The concert is free and open to the public, and the hall is accessible to all. Kwan’s program will feature solo piano compositions, some with electronics, written within the last three years by composers currently in their 20s or 30s. Included is the world premiere of a new work by NIU alum Matthew Dotson as well as another recent work by NIU alum Daniel Houglum. Works by Marcos Balter, Pablo Chin, Ramteen Sazegari, John Supko, and Lee Weisert also will be heard. 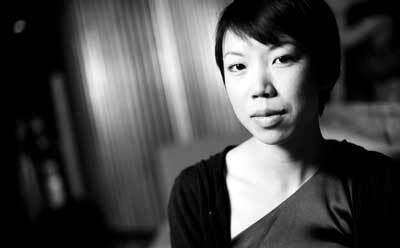 Born in 1981 in Austin, Texas, Kwan champions the works of artists from her generation and has been a featured performer at the Sonic Fusion Festival in Edinburgh, Scotland, SEAMUS, Intermedia Festival at IUPUI, Experimental Piano Series at Pianoforte, and Chicago’s Looptopia with Liminal Group. As a member of Ensemble Dal Niente, she is active in performances and education outreach throughout the concert season. She has been featured on WFMT as a soloist within the group, and performed with Dal Niente at the 45th International Summer Courses for New Music in Darmstadt, Germany, where they received a Kranichstein Stipend Prize, the first ever awarded to an ensemble. Along with NIU alum and percussionist Andrew Bliss, she is a founding member of the duo Nothing in Common, which exists to explore and expand repertoire for piano and percussion. Kwan received performance degrees from NIU and Rice University. She currently resides in Chicago.